I have a slight obsession with pumpkin seeds. This morning the air is crisp and cool, and it is finally feeling like fall in Wisconsin. 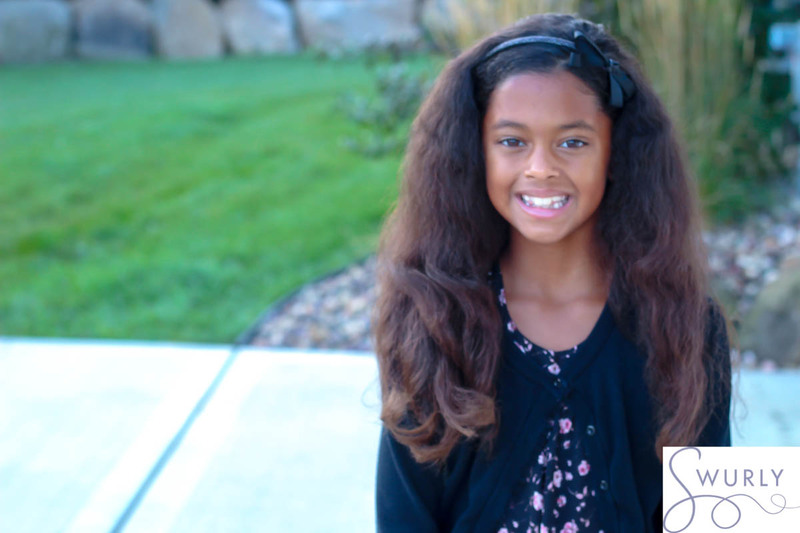 School is in full swing and this week Monday was Picture Day for my 3rdgrader Giana. Followed by Crazy hair day on Tuesday. 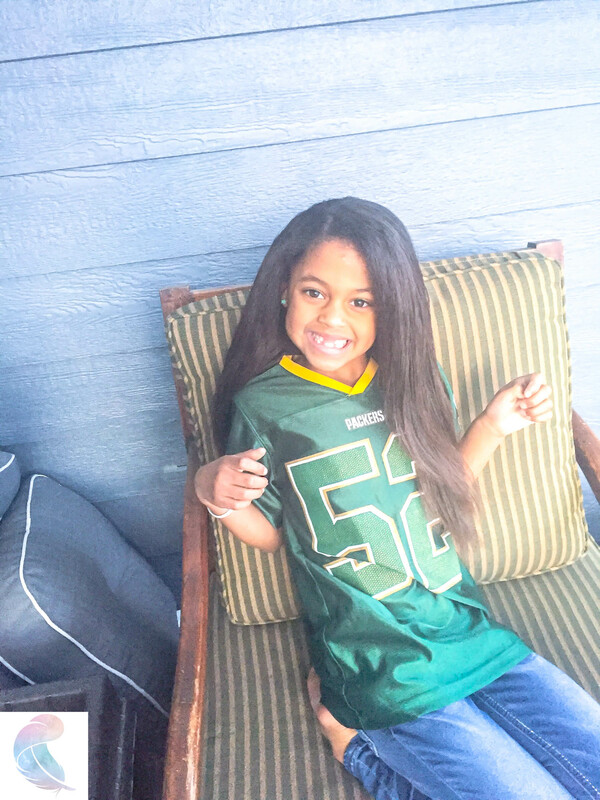 When I asked her what she wanted to do with her hair for picture day she said she wanted it straightened. My initial reaction was Noooooooo. 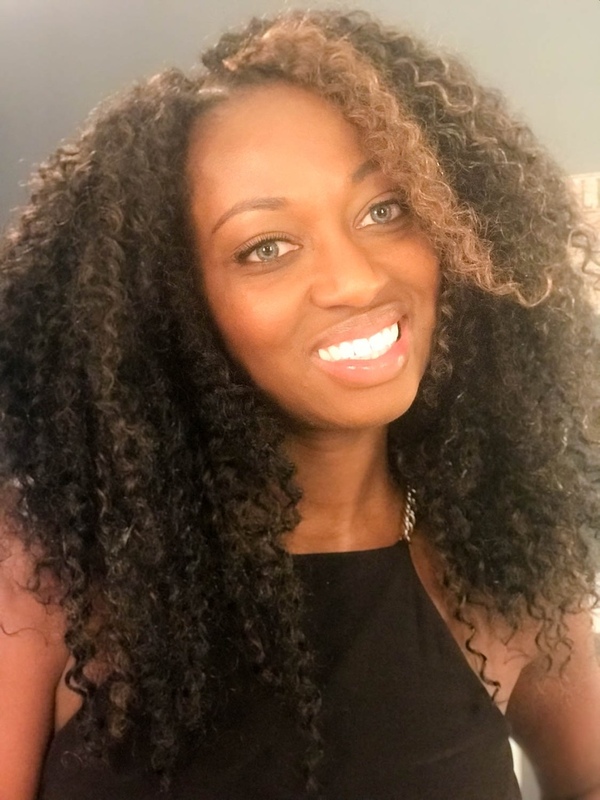 Ultimately, I think having versatility is one of the most beautiful things about naturally curly hair, I am not trying to prevent her from trying different hairstyles. Honestly, I was a bit curious myself about her hair length. Thus, we proceeded to spend last Sunday achieving the hairstyle of her heart’s desire. First, I reminded her of the damage that heat can cause on curls. I explained that we would counter those effects by starting the process with a deep conditioning treatment. Remembering to reinforce self-love, and we set a limit to the times we would be styling her hair in a manner that is not ideal for the health of it. 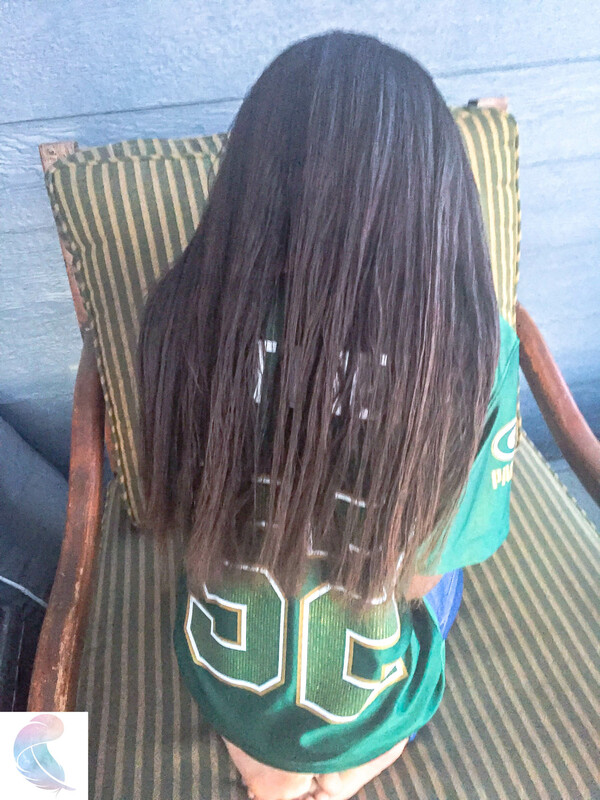 After washing and detangling her hair we applied the palmer’s coconut oil treatment. We placed a plastic cap over the conditioned hair and put our SWURLY wash day microfiber towel on top to lock in the heat. 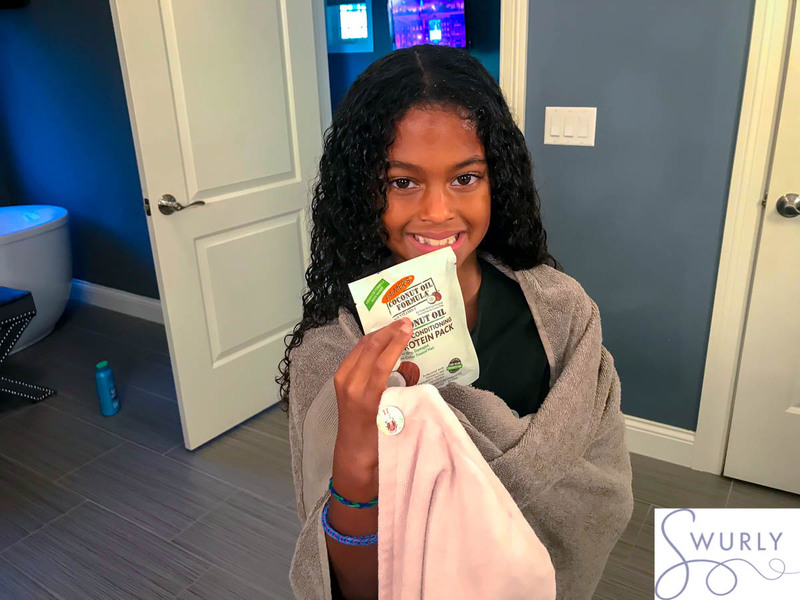 While wearing her SWURLY wash day microfiber towel, Giana could go about her business while the product worked its way into her hair cuticle. With the microfiber towel securely fastened by a SWURLY girl adorned button, she doesn’t have to worry about her damp hair dripping. 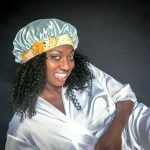 Check out her tutorial on how to wrap your hair in a SWURLY wash day microfiber towel. While I wanted to grant her wish for straight hair. I also didn’t want to risk causing heat damage. Therefore, I did a tension method on her blow out. we only made one pass with the flat iron and we protected her curls with heat protective products along the way. Applied Smooth Finish Blow Dry Cream, used the tension method to blow dry hair (I hold a section of the hair by the tips. Stretch hair out and move the blow dryer up and down the section root to tips to dry and stretch the hair at the same time. Use small sections and a high-quality flat iron to straighten hair piece by piece. ﻿﻿As you can see Giana was thrilled with the end results of her hairstyle. However, the curls reverted quickly, by the time she came home from school on Wednesday due to a rainy day and a child that hasn’t been programmed to hide from hydration. By Thursday we noticed her skin on her neck and face was irritated and had tiny raised bumps. Which is a sign of contact dermatitis? Coincidently the exact same thing happened to her two years ago when we straightened her hair. Here is a picture from that day. For that reason, I would NOT recommend the Shea Moisture Thermal Smooth products and I am wondering if that was a shared experience because I could not find links to the product and it seems it may have been replaced with a new line which they are calling Shea Moisture smooth and tame. Did the straight hairstyle hold up? As you can see Giana was thrilled with the end results of her hairstyle. 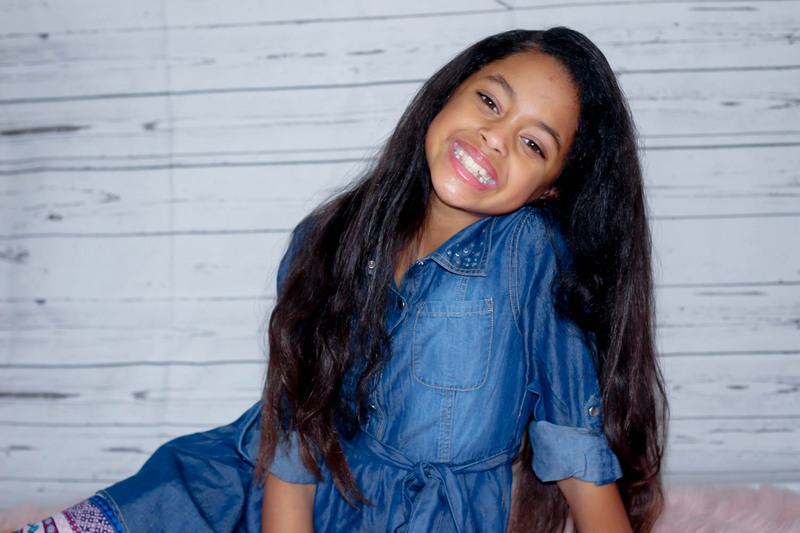 However, the curls reverted quickly, by the time she came home from school on Wednesday. It was a rainy day and she is a child that hasn’t been programmed to hide from hydration. 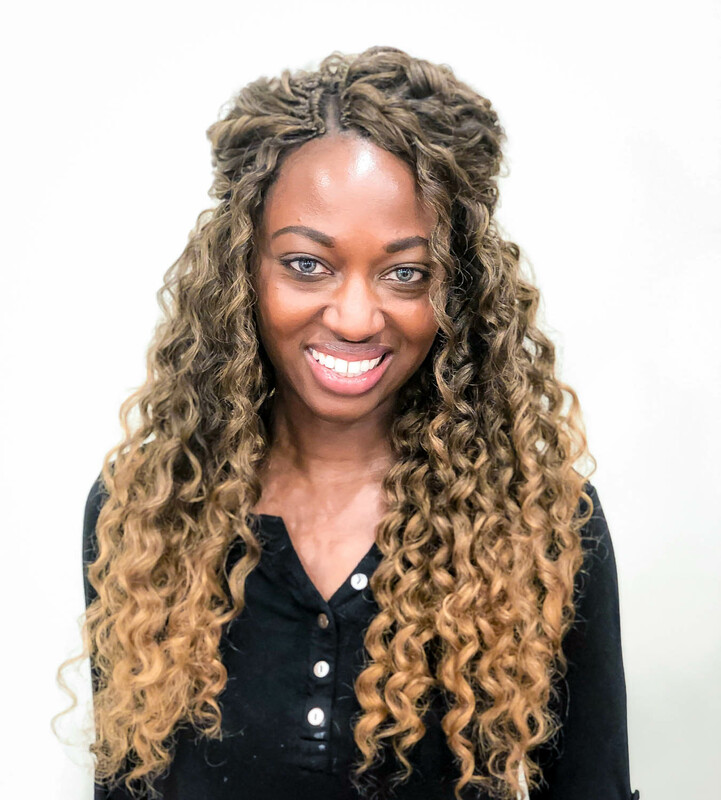 Evolution of Blow Outs: The first experience of straigtening ​our natural c​urly hair.